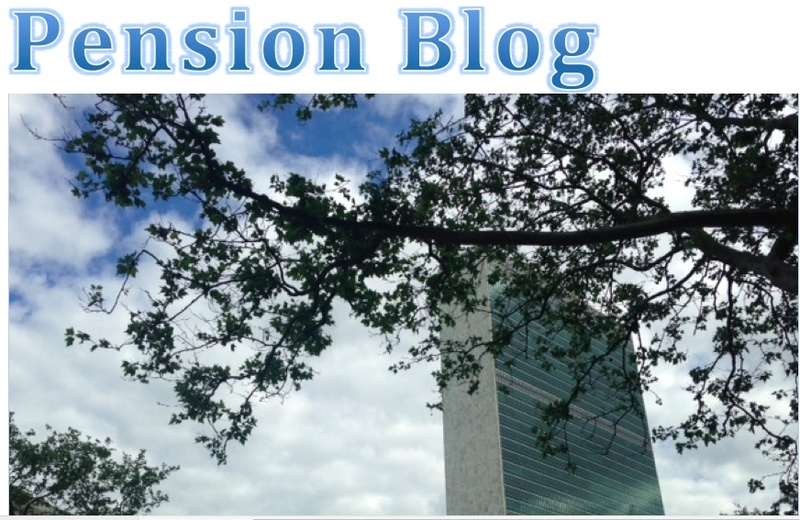 On 1 March 2016 (by UN Intranet), USG for Management Takasu, agreed with the UN Pension Fund Secretariat CEO, Sergio Arvizû, a performance program expected to eliminate the massive backlog in pension payments to new retirees and survivors, by 31 May 2016. A DM Intranet update message on 14 April 2016, stated that the agreed program is on track for completion by 31 May 2016. Recall the CCISUA President’s (Ian Richards) iSeek post on the same day stating: "It will take 14 months to clear the backlog on current trends. The Pension Fund is a long way from being able to claim 'mission accomplished'". Recall as well the 9 April 2016 open letter from the former Chief of Entitlements of the Pension Fund who described the CEO’s estimated backlog as deceptive and selective and called for an independent investigation of the real extent of the backlog and for hardship payments to the long-suffering retirees and survivors. In the midst of this evidence of CEO mismanagement and doubts about his transparency in stating the real extent of the backlog and a petition by the Staff Unions asking the Secretary-General to replace him with someone with the will and skill to fix the problems in the Fund, comes this message from the CEO, via AFICS, lauding “some recent achievements of the Fund . . . [and] the seamless implementation of the Integrated Pension Administration System (IPAS) in August 2015.. . “. So seamless, apparently, that some retirees and survivors have been waiting for six months and even a year for their first pension payment. It doesn’t get more ‘Alice (Sergio) in Wonderland’ than this! "See below a message which the Pension Fund CEO has shared with the SPC Secretaries. This communication serves to update on progress by the Fund on important initiatives as well as highlight some recent achievements of the Fund. Last month and for the first time, the Fund attained the highly coveted ISO 27001 certification in information security (covering all of the Fund’s processes and systems which now reside in an integrated IT platform, including pension entitlements, pension benefits payroll, accounting, finance, disbursements, etc.). The certification followed the standard strict ISO protocols and detailed review of systems, controls, governance, etc. and it was performed by Lloyd’s Register Quality Assurance (UK). This certification provides assurances that the Fund's new system (IPAS) is in accordance with this highly regarded and globally recognized security standard for system operation, maintenance and management. Compliance with the stringent standards of the International Standards Organization (ISO) sends a valuable and important message to customers and business partners: the Fund does things the correct way. The standard requires that management systematically examines the organization’s information security risks, taking account of the threats, vulnerabilities, and impacts; designs and implements a coherent and comprehensive suite of information security controls; adopts an overarching management process to ensure that the information security controls continue to meet the organization’s information security needs on an on-going basis. The standards also help ensure that the Fund’s security risks are managed cost-effectively. Since IPAS is a fully integrated system, the certification thus covers all aspects of the Fund. The Fund had been preparing for several years for this certification. The ISO 27001 certification is valid for three years, until March 2019. I am also glad to inform you that the Fund received in February 2016 the “Elite Quality Recognition Award” for the year 2015 from J.P. Morgan Chase. This is the first time the Fund has been recognized with such an award. As you know, the Fund utilizes this global banking institution as its main correspondent bank for distributing payments to its more than 72,000 beneficiaries who reside in all regions of the world. This financial institution recognized the United Nations Joint Staff Pension Fund (UNJSPF) for achieving 99.3% straight-through processing (STP), or the ultimate level of performance in the MT103 category, thus, entitling the Fund to the Elite Quality Recognition Award. Less than 1% of institutional clients meet this strictest criterion. Straight-Through Processing mechanisms ensure an effective and efficient processing of benefit payments, with shortened processing cycles, reduced settlement risk and lower operating costs. At the same time, STP mechanisms eliminate manual intervention with a fully automated process that includes strong controls to prevent risks of fraud or error. This is particularly important for the Fund as it has been working in the last few years at enhancing its controls and systems, especially around financial and entitlement activities. This recognition also highlights the seamless implementation of the Integrated Pension Administration System (IPAS) in August 2015 and its full and effective integration with the Fund’s disbursement systems in 190 countries and in 15 currencies. Finally, I would like to inform you that the Fund also leveraged the introduction of IPAS to automatically route payments to direct settlement mechanisms in India and Pakistan, thereby significantly reducing or eliminating banking charges to more than 1,200 UNJSPF beneficiaries residing in those countries. It would be greatly appreciated if you could bring this information to the attention of the members of your SPC in your organization. Please do not hesitate to contact me if you have any comments or questions. Your opinion is very important to us.